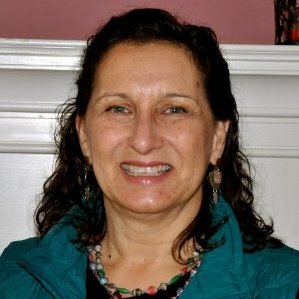 CHESTER — Democrats Tuesday nominated Laruen Gister for the open first selectman position, with Charlene Janecek, the party registrar of voters, as the running-mate for board of selectmen. Both seats on the three-member board, controlled by Democrats since 2011, were open after the incumbents declined to seek new terms in the Nov. 3 vote. Two-term Democratic First Selectman Edmund Meehan formally advised the Democratic Town Committee in June that he would not seek a new term. Selectman Lawrence Sypher, first elected in 2009, also declined to run again. Gister, a local attorney and 25-year member of the U.S. Marine Corps, and Janececk, were nominated on a unanimous voice vote from the approximately 70 Democrats that turned out for the caucus held at the Chester Meeting House. Gister had been endorsed by the Chester Democratic Town Committee earlier this month. But comments made in the nominating speech for the position indicated there had been some questions and possible objections to Gister’s nomination. Fitzgibbons was clearly referring to a letter published in a local weekly from Joe Cohen, a town committee member. In the letter published last week, Cohen contends that Gister lacks government and managerial experience, does not own property in Chester, and has not voted in recent elections. Cohen, a public relations consultant and former newspaper reporter, was rumored to be planning a caucus challenge to Gister’s nomination. But Cohen, who was present Tuesday, did not put his name in nomination at the caucus. Gister said after the nomination that she was expecting a challenger from Cohen. She said “ugly statements” before the caucus had referred to personal problems she faced and overcame in recent years, including a divorce and subsequent foreclosure on her property in town. Gister, 56, is a mother of four children, ages 14-31 Gister said she was born in California, but moved to Connecticut at age 14 and graduated from Hall High School in West Hartford.. A 19-year resident who maintains a law practice in town, Gister said she was approached by town committee members about a possible candidacy earlier this month. Cohen said after the caucus that he is hoping other candidates emerge for the first selectman position over the next two weeks to provide town voters with a contest. Cohen said he is “pondering” a position run as a petition candidate, but is unlikely to challenge Gister’s nomination in a Democratic primary. He offered no apologies for his letter to the editor about Gister. “Telling the truth and raising concerns about legitimate issues is not in any way character assassination.” he said. Democrats also nominated a slate of mostly incumbents for other positions on the municipal election ballot. Lori Ann Clymas, currently serving on the board of finance, was nominated for a six-year term on the Region 4 Board of Education. Incumbent Jennifer Rannestad was nominated for a new term on the board of finance. Incumbents Errol Horner and Keith Scherber were nominated for new full terms on the planning and zoning commission, with incumbent Peter Zanardi nominated for a two-year term on the commission. New candidate Jacqueline Stack was nominated for planning and zoning commission alternate. Incumbents Maria Scherber and David Fitzgibbons were nominated for local board of education, along with new candidates John Stack and John Ropiak. Incumbent Mark Borton was nominated for a new term on the zoning board of appeals, incumbent Kim Senay was nominated for a new term on the inland wetlands commission, and incumbent James Pease was nominated for a new term on the water pollution control authority. Incumbent Sandy Senior-Dauer and Karin Badger were nominated for library board of trustees. Republicans hold their nominating caucus Monday. No candidates have announced for the Republican nomination for first selectman. Cohen, or any other possible challengers, face an Aug. 5 deadline to submit signatures to run as a petition candidate. Aug. 12 is the deadline for primary petitions.